Jan here, and I’m so excited to be one of the new kids on the block at Seekerville! Since this is my first “official” post, I thought I’d take you on a journey with me: my journey to publication. I hope you’re like me and can’t get enough of these inspiring stories! My writing career is fairly new. I started writing for publication in 2011, almost exactly seven years ago. I had always wanted to write fiction, but for years God gave me the message, “not yet.” He had other things for me to do. So, I homeschooled our four children through high school and I was a leader in Bible Study Fellowship for ten years. I’ve taught Sunday School, worked in a library, and we’ve moved eight times since my husband and I were married more than thirty-five years ago, living all over the Midwest. When God finally said, “now,” I knew exactly what stories I wanted to write: the family histories I had grown up with. I turned to genealogy for my information, and as I researched, stories formed in my mind, filling in the details that genealogy leaves out. Those stories have become my novels. You can order these books HERE! That all sounds pretty cut-and-dried, doesn't it? Like I just sat down at my computer and started spinning out novels, fully formed and ready to publish! We all know better! Let’s start again, at the beginning. In January of 2011, my husband had been away for three months, working at a new job. I stayed behind with our high-school aged boys to sell our house in Kansas. No one was looking for a house to buy in January, and we had no idea when we would be able to move to join my husband in South Dakota. Loneliness engulfed me. I knew the stories I wanted to write…needed to write…but I had no idea where to start. We also needed money (paying for two places to live isn’t cheap, even if one of them is a pay-by-the-week off-season motel room!) A friend had heard about writing for Woman’s World magazine, so I started searching the internet for information on how to break into that competitive market…and I stumbled upon a post written by someone named Tina Radcliffe on this blog called Seekerville. I’d like to say, “the rest is history,” but you are all too smart for that. You know that learning how to write a story takes a LOT of hard work. You all know the time, the dedication, the dead ends, and the mini-victories that are involved. After several unsuccessful tries, I finally sold a story to Woman’s World! By then we had sold our house and most of the family was together again in South Dakota. 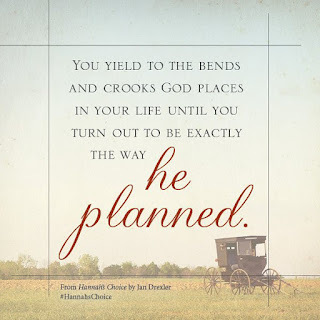 Meanwhile, I had been working on the story of my heart…an Amish story, loosely based on my grandmother’s experience of becoming a widow while she still had children living at home. And through my daily visits to Seekerville, I learned the ins and outs of the publishing world. I learned about grammarly details, how to write a query, why you should enter contests, and how to remain focused on your goals. In 2012, publishing doors started opening. My Woman’s World story was published, I signed with an agent, and Love Inspired Historical offered me a contract for my first book. When God said “now” the year before, He meant it! None of this would have been possible without the ladies of Seekerville. These lovely ladies who had gone ahead of me and my fellow residents on Unpubbed Island had the vision of helping aspiring authors cross the span of waters between the island and the mainland of the publishing world. A hand up, not a hand out. Unending encouragement. An offer of friendship that is always genuine. And the gentle “this is how you do things” tone to the blog posts. When Ruthy contacted me a few weeks ago asking if I wanted to be part of the new Seekerville team, how could I refuse? My passion is to give to others what has been so freely given to me. Now is your opportunity to brag on Seekerville! What difference has this blog made in your life? What is the best piece of advice you’ve ever received on the blog? Or what is your favorite part of coming to visit Seekerville? I’m offering a five-page critique to one commenter today. If you’re an aspiring writer, mention in your comment that you’d like your name thrown in the doggy dish. 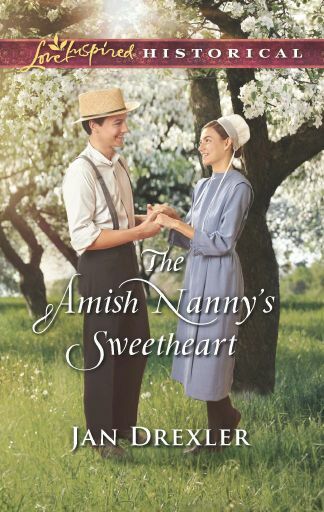 Another commenter will receive a copy of my newest release, “The Amish Nanny’s Sweetheart,” coming out from Love Inspired Historical in March 2018. Or, you can pre-order your own copy here! As nanny for her nephew, Judith Lapp’s finally part of a vibrant, joyful Amish community instead of living on the outskirts looking in. But teaching her neighbors’ Englischer farmworker to read Pennsylvania Dutch wasn’t part of her plan. And the more time she spends with Guy Hoover, the more he sparks longings for a home and family of Judith’s own. Guy figured he would never be truly accepted by his Amish employers’ community—even though the Mast family treats him like a son. But Judith’s steadfast caring shows him that true belonging could be within his reach…if he and Judith can reconcile their very different hopes—and hearts. I love ending my night with Seekerville, it's like that nightcap (if you will) to relax you before bed. I always find something interesting in each post...whether it's the behind the scenes of a writers life, or sharing of faith, or encouragement or just a laugh or two, or any number of things. What difference has it made in my life? For me as a reader, it has given me a new appreciation for the hard work and dedication each writer puts out to bring a great story to life. The triumphs and tragedies...from pre-publication to the day you got "the call" and how it made you feel and how it changed your life. I didn't know what it took until I began to read this blog. It's been really eye opening! It also gives me a new appreciation for authors who allow the Lord to speak through fiction. Who realize that it's not just giving readers entertainment, but goes deeper to the heart and soul. You have no idea how grateful I am for that! I also love seeing the way you guys cheer each other on as writers. How you never put each other down (unless it's all in fun) but gather 'round and lift each other up. It's amazing to see so many different personalities and how God has knit you guys perfectly together. Almost like He knew what He was doing ;-) You guys celebrate the good and sympathize with the bad....great examples of what we all should be with each other and in the Lord! Please toss my name in the hat for the book Jan! Thanks so much. Trixi, we say it often but sometimes that isn't enough. We LOVE readers, and we love that you're part of our community and are such a faithful follower who comments faithfully too, as well as a supportive reader/reviewer. We appreciate all you do for us...and we treasure your friendship. And then finding us over here!!!!! This is exactly the reason we started Seekerville! To offer that laughter and love and guidance because this is a tricky business, for certain! And I just finished "Naomi's Hope" and I'm so glad that you included a not-so-nice minister in there... that dose of reality deepened the story line so perfectly, Jan... because sometimes I think folks see Amish in a bubble of kindness and warmth, but the reality of being human is that any denomination has greed... lust... avarice... gluttony... gosh, any sin there is, but so many of them come from lust for power and importance... I LOVED THE VOTE. That's all I'm saying... but I'm smiling!!!! And might I take this moment to welcome you on board, my colleague, my friend and my sister in Christ. It is so nice (as always!) to work with you! I was standing in line at Walmart on Saturday with "Her Secret Daughter" in my cart, hoping that the checker would say something about it, just so I could answer, "I know the author." My dear husband laughed at me! And I'm glad you liked "Naomi's Hope!" Most readers that I've heard from love to hate Shem. (You were kind to call him a "not-so-nice minister" - I have other names I call him!) He was such a fun character to write, and I loved his POV scenes. It's good working with you, too! (I'm still pinching myself!) Thanks for asking me on board! Yes Ruthy... "children first." My life right now!! I love Seekerville because of wisdom from people like you and Jan. This is such an encouraging community of writers--there's really nothing else like it out there! Megan, I wanted to start writing long before I did. I really felt/knew it was my destiny. It was my calling... but I had those children and they were my first calling... Anne's "Living Epistles" from Anne of Ingleside or Rilla of Ingleside... But when my time came, I was so excited and I still am! So maybe that's not a bad thing???? I don't get annoyed or fed up... I feel like I'm so blessed to be able to do it. That's the best part.... and even when stuff rains on my head, edits and revisions and that kind of thing, it's all okay... because I'm doing what I absolutely love. Good morning, Jan. Thanks for sharing your story about the road to publication. Sometimes it feels like I've done everything backward and inside out. Seekerville is a sisterhood (and a brotherhood! )...a place to share my hopes and dreams and to extend a helping hand to others. A place at the table where the coffee is always hot. Thanks for stepping up when you got the call! And thanks for being part of that call, Barb! Barbara, I feel like that too. I've made just about every mistake there is to make. (Charging like a bull at an editor in an elevator at a conference, anyone? Going over an acquisitions editor's head when he "takes too long" evaluating a manuscript, anyone?) It's been a longer haul for me than for some of the Seekers and Villagers, try 20 years, but the Lord had to prune and mold me through most of that. I totally agree... being broken isn't nearly as scary as being self-absorbed and full of ourselves. 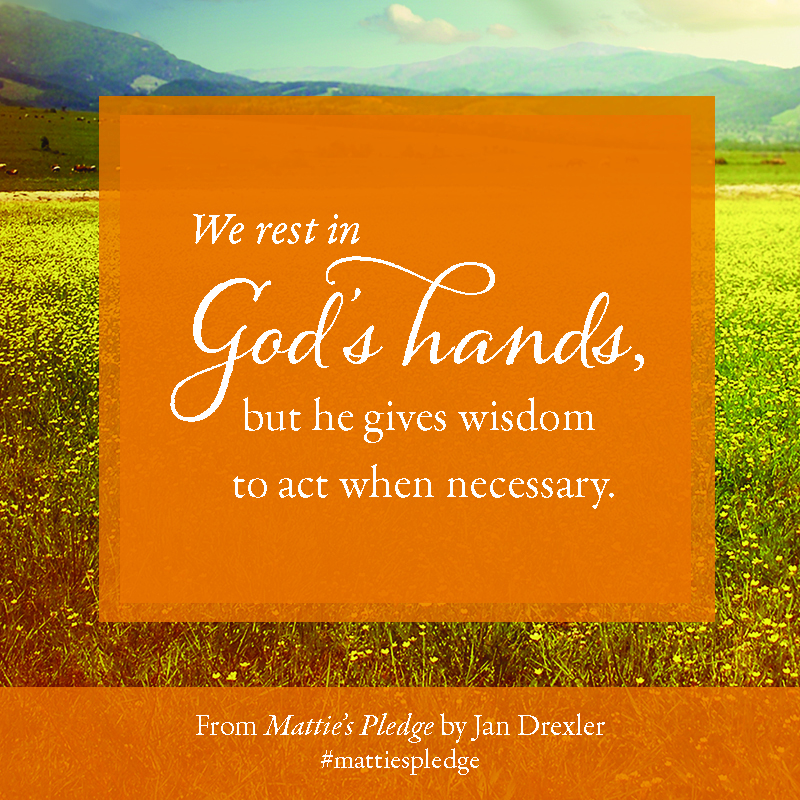 Good morning, Jan. You are so smart to be obedient and wait for God's call. Congratulations on your new book. Seekerville has been an encouraging place for me to hang out, make friends and LEARN! I'm excited for you to take this next big step. I'd love to have my name in the drawing for a critique. Thanks! Your name is in the doggy dish! Good morning Jan! I first discovered Seekers two or three years ago. I have acquired knowledge, found encouragement and discovered courage. I would love to hear more about using family history for inspiration in a post sometime, as I have felt the urge to do the same. Congrats on becoming part of the new seekers team. I met you briefly at the last Nashville ACFW at the Love Inspired reception. You were very kind and encouraging. We had a great conversation about Ohio's black swamp. I'm glad you are keeping seekerville open. Thank you. I remember that conversation in Nashville! The Black Swamp still fascinates me. 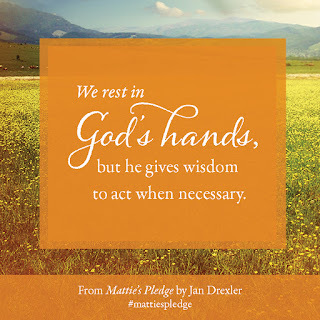 :-) It's included in my book "Mattie's Pledge," and was a great experience in using the setting of the story to create a mood. 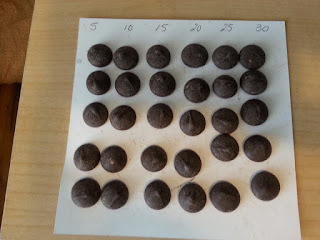 And thank you for the blog post idea! Next month, or maybe the month after, I'll blog about working family histories into stories. I don't think you and I are alone in finding our inspiration there. But my favorite thing you said? "I have acquired knowledge, found encouragement and discovered courage." You are so right! Thank you for sharing your journey to publication -- so thrilled that Seekerville played a part in it! God's timing is so important, isn't it? I LOVE how you wrap your stories in family history! God's timing is always perfect. :-) My struggle has always been to rest in it, trusting. And thanks for the official welcome! Thank you so much for sharing your road to publication, Jan. Isn't it funny how so many of our roads, though very different, brought us to Seekerville? My journals are full of thanks to this blog, which started as a Google search many years ago. Thanks to Seekerville, I published my first book last year after reading about Harlequin's Blurb to Book contest. Thanks for being here, Jan! I remember celebrating your Love Inspired debut last year! One thing I've learned about Seekerville is that the encouragement and knowledge is here, but the work and determination are all in your hands. You were the one who had the courage to hit that "submit" button, and then follow the contest through to the end! But you're right - when you're unpublished and don't even know that contests like "Blurb to Book" exist, how can you find out about them? Right here at Seekerville! Here's a really important thing I learned. I should blog about this. There were several people who got contracts before I did. Before a lot of us did... but that first contract can be the make-me-or-break-me reality... because the work involved in making editors and publishers and readers happy isn't always what we expect... and that's the reality. A lot of those authors aren't writing anymore. Some never finished their first 3 book contracts... The job begins at talent... and it goes forward with what Jan said above, the work of our hands and hearts. That will be a great blog post, Ruthy! Welcome, Jan!!! You've had quite a journey and I'm not just talking about publication. So many moves! Homeschooling! Months away from husband! So glad you listened when God say "not now." You would've driven yourself nuts trying to juggle life AND stumble along the rocky path to publication. Good for you. Digging into genealogy isn't for the faint of heart either. My daughter tried tracing our family and became frustrated with my side because she didn't know how to spell Lithuanian last names. Bless her heart. I don't think I would be very successful either, and I had grown up hearing the names, LOL! I'm so glad you found Seekerville way back when. We were all learning the ins and outs of the industry. And we still are, LOL! I'm so excited you're joining us on this never-ending learning adventure in Seekerville as a regular friendly face. So, can we get a crash course on researching genealogy sometime? And thanks for bringing Thatcher along. 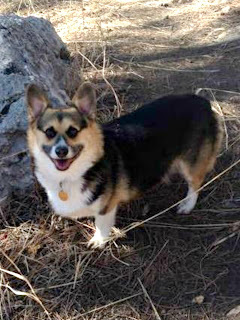 He is one gorgeous Corgi! I've thought of that - if I had tried to write while living the life God had planned for us. Each move set our family back...taking time to regroup, keep the family dynamics on an even keel, striving to keep the children's educational goals on track...I can't imagine trying to write during those years. Like Ruthy said earlier, the children come first. And your poor daughter, trying to research Lithuanian names! I have enough trouble trying to trace German names through the years! Census takers often spelled names phonetically, so Drexler becomes "Dressler" or "Trachsler" or "Tressler"... It can be frustrating! And I'm no expert, but I'd be glad to include genealogy in a future post! Thanks for the welcome, Audra! Hi Jan, thank you for sharing your journey with us all. During the many years I have visited Seekerville I have been inspired, I have learned many things about the world of writing but most of all I have found some wonderful caring people that I feel I can call friends. I would love to be tossed into the drawing for you book. The friendship is the best part of Seekerville, isn't it? For years my husband teased me about having these virtual "friends" that would turn out to be forty-year-old men trolling the internet for victims. :-) Then I went to my first ACFW conference, and could assure him that these people were real. I'm not sure he was actually convinced, though, until HE met Mary at a book signing. LOL! Thanks for being part of Seekerville! Oh, gosh.... thank you, sweet Cindy. Jan, Seskerville has helped me in two ways. in improving my craft and in showing me what life is like After The Call. I have appreciated how candid the published writers are about deadlines, lines closing, agents retiring and the like. It really doesn't get any easier, it's just that it's hard but you have an ISBN number. Oh, Kathy, you are so right. Before we enter this journey, we have this starry-eyed idea of what it's like to be a published writer, don't we? I remember reading in an early Seekerville visit that authors still clean their own toilets...that was reality for me! I had never really thought about whether published authors clean their own toilets or not, but what I realized from that comment was that signing a contract would never make my life easier...it would be adding another layer of hard work into my life. So when I made that step, I was better prepared, I think, thanks to an odd comment on Seekerville! I'm now craving chocolate. Thatcher is adorable. I'd love to be entered for the book. And don't let Thatcher's adorable face fool you. He's a pistol! Jan, please enter me in drawing for critique. I love genealogy and I loved reading your personal story so thanks for sharing it. I have often thought if I ever wrote anything I would use my family's history just like you did, so we think alike in that respect. I have to ask, there's a Guy in your story and a Guy in your family picture, would that be your grandfather? The dates don't seem right for it to be your father unless you were born when he was a much older man. See, I told you I love genealogy, mine and other peoples too! I'm also curious, are there Amish family members in your current generation? I have my mom's box of family history that several generations put together and it's fascinating to look through. I love book people, writers and readers alike, so Seekerville definitely feels like home to me. I'd love to read your book, so I'd appreciate being in the drawing, thank you! I don't have any close Amish relatives today. My family line left the Amish church in the 1850's, during the church split in Elkhart and Lagrange Counties in Indiana. Part of my desire to write Amish historical stories is to explore the different facets of that church split, and why my ancestors chose the "change-minded" faction. But there are certain last names in the Amish church that I know share a common ancestor with me, like Schrock and Blank (or Plank). And we all love book people around here, don't we? Thank you for that...and for joining Seekerville. I can't wait to read more of your posts as I continue my journey to one day be off unpubbed island. Thanks for the encouragement! I am so excited to be part of this team. Always a joy to see in Seekerville! Jan -- Please tell us a little bit about Grandpa Eugene and the cute little boys in the photo! I told a little bit more about Guy in my answer to Tracey's post above, but I have to tell about Grandpa Eugene! In his younger days, he was quite a character. A traveling salesman, a "flim-flam" man, much like Harold Hill in The Music Man. When he stopped in Topeka, Indiana, he'd drop in to see my great-grandmother, who was living with her brother in a foster home. After a shotgun wedding, he attempted to settle down. 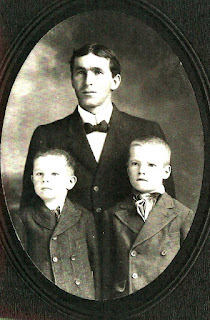 The couple had another son (Orville in the picture) and a daughter, but my great-grandmother died in childbirth. So what does he do now? He has a newborn daughter and two small boys...and he's still a flim-flam man at heart! So he put the children in an orphanage, allowing the baby to be adopted. But he never signed away his parental rights for the boys. Grandpa Eugene changed completely. You can see it in the pictures we have of him. This kindly man is the great-grandfather I remember, with his bushy eyebrows and Plain clothes. He also tried to reconcile with his sons, but many bridges had been burned. The boys had a hard life in the orphanage (I write about this more in my "dear reader" letter in the book), and true reconciliation was never quite possible. Still, he and Guy did have a relationship, although Guy never lived with his father's new family. It's a story similar to stories most families have in their background somewhere. I am blessed that my father's retirement project was to seek out people who had known his family in the early 1900's and interview them, filling in the details of his boyhood memories. Otherwise, the stories would have been lost. Wow, Jan. That is a novel right there. What an interesting family background. Congratulations on joining the Seeker team, Jan. You've been a regular contributor so long that when I read you'd be officially joining, I thought, "But, of course." I am heavily invested into genealogy, which is one of my main distractions from writing. Time is passing too fast and with it oral histories are lost. I feel a sense of urgency because I am the only family member wanting to preserve it. The battle for writing family history vs fiction is constant. I love that you use your family history to inspire your stories. Hugs and prayers as start this new adventure. Your journey into genealogy is inspiring. Kudos on searching out and recording those oral histories. Once they're gone, they're lost forever. And I understand about the conflict with your fiction writing! I'm sure that every new story you hear opens up a whole new world of story ideas, too. We have a strong north wind blowing today, straight from Saskatchewan! JAN!! SUPER CONGRATS, my friend, on your wonderful success!! LOVE your story of publication -- God's timing all the way!! You asked, "What difference has this blog made in your life?" A life-changing difference for me, forging friendships with fourteen (original number plus me) ladies who have nourished my life with with an abundance of laughter, love, friendship, and wisdom. I am a better person -- and writer -- because of Seekerville. Love you guys! Julie! So good to see you here this morning! As a Seekervillager, it is easy to forget that all of the Seekers are learning, being inspired, and enjoying this blog as much as we are (or even more!) Thanks for being one of the original gang! Hi Jan! I love that old photo & the ties to family history. SO fun! I love hearing everyone's road to publication. So different, but still alike. Seekerville has been such a help to me in my writing. First, I love the positive attitude. No griping/bashing of others, and in today's world, that's such a relief. More like a group of encouraging friends. And of course the craft blogs that teach us the ins and outs to writing. The positive attitude is wonderful, isn't it? Almost like we're in this together, rather than competing against each other. Your name is in the doggie dish. I was a Seekerville observer long before I commented. Love the unity and support in this community! I agree with others who've raved about Seekerville's desire to "give back" and help others. The encouragement here is unparalleled. Thanks so much for sharing, and many blessings on your writing ministry, Jan! So you were a long-time Seekerville lurker? I'm so glad you commented that first time and joined the party! And you're right, the encouragement is unparalled! Jan!!! Thank you for your interesting and encouraging journey story! I’m grateful to Seekerville because this amazing community provided the knowledge and support for my dream to bloom. I’ve written a book! Without the Seekers, this would not have happened. Congratulations on your newest release! Please enter me for a critique. Thank you, Jan, for the many ways you bless me and others! Yay, Sherida! You finished your book! Jan, it is so inspiring to hear publication journeys. Thank you for sharing yours! I'd love to be entered in the critique. Thanks for the offer!! Seekerville has helped me in so many ways finish my stories. Now to find an agent and get published. It's great having Seekerville along every step of the way. I love to hear publication stories, too. It always amazes me how each person's journey is so different. As you search for an agent and publisher, be sure to check out the Seekerville archives on queries and contests! I often think back to RWA Nationals in 2005 when the seeds were sewn for the Seekers to band together, which we did soon after the conference. I wanted and needed a support group of writers. Of course, our group has gone far beyond that. When we decided to share what we had experienced on our private yahoo loop, God blessed us abundantly with this amazing blog community! Thank you all for filling our lives with joy, for touching our hearts and sharing your ups and downs as we've traveled this writing journey together. It's been a great "ride" that, I hope, will long continue! Lovely blog post, Jan! So glad you're telling the stories the Lord placed on your heart. His timing is perfect! Debby, we all have to thank the original Seekers for stepping out to create a support group that encompassed not only your group, but welcomed others! Jan, your story is amazing. Seekerville has taught me so much, but I love it for the friends and encouragement I have found here. Absolutely no way to put a value on that.Please toss my name in for the critique. So glad you are one of the new Seekers and appreciate your support so much. "Absolutely no way to put a value on that." So true! And your name is in the doggy dish! Jan, congratulations again for being an official Seeker. I was excited when I saw your name. It was fun to read about your road to publication. I always love to see how other authors have done it. I have been a regular in Seekerville for 3 1/2 years now. I had visited maybe once before when I saw a post mentioned, perhaps on Facebook. I'm not sure how I would have come across it since I had not known anyone on Seekerville at that time. But I think I didn't feel I belonged at that time as I wasn't doing much with my writing. Then in 2014 I decided I wanted to get more serious with my writing and thought I would start by trying out Seekerville again. The encouragement and support I have received from this blog got me going again and I finally finished my novel. But now the hard work of rewriting and revising awaits. I have not done much since the holidays but now ready to get back. I don't think I realized the friends I would make from Seekerville, either. Even though I haven't met most of them, I consider them to be very good friends. I'm so glad I was able to meet you, Jan. My family knows that when we travel anywhere my writer friends live, I will want to meet them if possible. My husband enjoys your Black Hills pictures that I share with him! I enjoyed your post about family stories. I haven't written much about family, but we do have some interesting stories as well. One involves my grandfather's family. His parents were immigrants from Denmark who settled in Nebraska on a farm. In addition to many children in the family, they also took in a foster son. At some point he disappeared (I think he was a teenager then) and nobody every knew what happened to him. My grandpa often tried to find him. They had thought he might have been in Los Angeles. When my grandparents took a trip to visit relatives in the Los Angeles area my grandpa went to skid row to look for him. This was much to my grandmother's dismay. That may be a mystery never solved. Please enter me for the critique. Well, they did get ice cream. Doesn't take much to keep them occupied! :) They also walked around in the smoggy haze to see the president statues. We didn't quite luck out on the weather conditions that day, but that can't be helped! Sandy, isn't it wonderful having friends around the country through Seekerville! Hugs, dear friend! What a great post. Seekerville truly is a special place. Other writers groups and blogs are certainly helpful, but nowhere else can you find a helpful COMMUNITY like this--so much wisdom and encouragement and positivity on top of the nuts and bolts of writing and publishing. Thanks for introducing me to this wonderful village in the first place! Good morning, Meg! Waving back! This is a great place, isn't it? And you're right - we're a community. Every time I get nostalgic for the old days (before internet), I remember all the good things it has brought into my life. Seekerville is number one on that list! Meg, it was great meeting you and your beautiful family last summer, too. Sandy—I’m so glad we got to meet you too. It’s fun when internet names become real in-person friends! PS: I love South Dakota & can't wait to get back there & explore more of it sometime! Hey Jan! I love to hang out with my bookish friends here in Seekerville! I've learned so much about an author's journey and process. I SO appreciate authors that use their talents for His glory. But this writing gig wouldn't be nearly as much without readers! Seekerville is the place to be, isn't it? The camaraderie between the Seekers is what drew me in, too. I always feel inspired after a visit here. I love to read so please drop my name in the doggie dish! THANKS. I've always to people that the blog is only the beginning of the Seekerville experience. The comments are where the real interaction comes in. Sometimes, I think I learn more from reading the comments than I do from reading the blog! Your name is in the dish! Jan, I love hearing about your journey to publication AND the stories of your ancestors. Wasn't it nice of them to provide you with so much great book fodder? They may not have known their stories would end up in print, but God did. And I love how He prepared you to use those stories by instilling in you the desire to know your genealogy. Oh, our God had it all orchestrated. Seekerville has always been a haven for me. Though I didn't comment often, it was always a safe place to land. A place to come to for encouragement and tips I could apply to my own writing. The Seekers are, indeed, an amazing group of women who have blessed so many. And for that we are all grateful. Seekerville is definitely a haven. Jan, I loved reading your journey to publication! I also love that God spoke so clearly on His timing and you were wise enough to listen. I'm impressed that you used family stories to trigger your fiction and have enjoyed hearing more about your family in the comments. You're so sweet to give Seekerville credit for helping you get published. You did the hard work, but even as I say that, I also know how much a sense of community helps writers keep on keeping on. The ten years I was privileged to write posts in Seekerville helped me, as I put my thoughts together a craft or encouragement post. Not only did I learn from examining the topic, I also learned from the comments of writers and readers on the blog. Knowledge flows both ways. That's one thing I've always appreciated about Seekerville - the posts are always friends sharing what they've learned with others. I think that's what has always given Seekerville its unique flavor. Jan, I love keeping up with all of you! How interesting! I started writing in 2011, too! Though I didn't start writing seriously until 2014. 2011 was just when I started trying to write my first novel. Please enter my name in the doggy dish for the critique! Are you still working on that first novel, or did you finish it? Or did it end up like my first attempts...I never got past an outline until 2011! Hi Jan, I thoroughly enjoyed reading your road to publication. I always find publication stories motivating. Please put my name in the doggy dish. 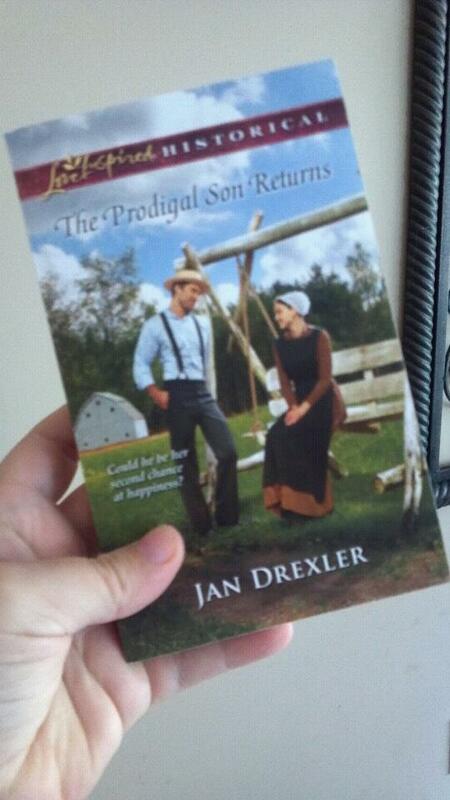 I'm toying with an Amish themed suspense. I'm glad you enjoyed the post. It's funny - back when I was living through all that stuff, I couldn't see where the path in front of me was leading. I hoped it was toward publication - toward a career as an author - but I had no idea what God had in mind. But now, when I look back, I can see how purposeful each step was along the way. Hey you, less thinking, more doing. It is amazing to see what God has done! 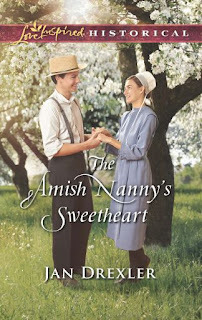 "The Amish Nanny's Courtship" will be my 8th book, number 9 will be out in November ("The Sound of Distant Thunder," book one in The Amish of Weaver's Creek series from Revell), and number 10, from Love Inspired, is scheduled to be out in January 2019. When I look at the list, I can't believe that seven years ago, I wasn't sure where this writing thing would take me. Back then, as my husband and I discussed what I would do after our youngest son graduated from our homeschool, I remember saying that I'd like to give "this writing thing" a try. I told him I'd give it three years, and if nothing came of it, then I'd know I needed to pursue something else. And I love that list of gems...you've taken them to heart! You're the fightingest warrior I know!!! I am in love with those numbers!!!!! I know exactly what it all means... and your steady work and devotion. Speaking of going and getting 'em, do you see the time you posted this comment? 3:56 AM!!!! That's Ruthy time and Ruthy commitment! Jan, what a wonderful first post! I love reading your story. So exciting to see you jump in and soar! We’re so glad you agreed to join us! We know you’re going to bring lots of great posts! There's no limit on exclamation points in Seekerville comments!!!!! I like that: "Being part of a community like this fills my writer soul." Exactly. There's nothing like spending time with like-minded people! And you're right about journeys to publication echoing the same themes. "Trust and Obey" is the rule. Ah, Jan, I loved reading about your journey! As to how Seekerville has helped me? Where do I even begin? 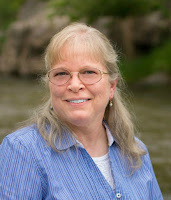 Mary Connealy was one of my very first writing friends, and the ladies of Seekerville have been so warm and helpful. Ruthy gave my one of my first writing contest critiques, and she was kind enough to tell me the TRUTH! Julie prayed with me at an ACFW Conference, and her passion is just so contagious. Oh my, I never should've started naming names, because each and every Seeker has had an impact on my writing life through their blog posts and their friendship! I remember The Plot Board post! (for those who don't remember it, look for it in the archives!). It was a step for me, and an important one. That's when I started to realize that I am a plotter, and I'm also visual - I HAVE to have things like the plot board to help me work! And I won't try to name what each of the Seekers has meant to my journey. Like you, I'd get to the point where I would have to stop because there are so many things to thank folks for that I'd be sure to leave something or someone out! Seriously, I am SO blessed to see all that God has done in your career, my friend, AND what He will continue to do!! Jan! I just loved your journey. It is so beautiful when God gives you that yes! His timing is so perfect, and how wonderful that you are sharing that encouragement and the skills that have gotten you there (love your reward system too!) I look forward to future posts. I have been so encouraged here. I can't pick just one thing. I love that many of the writing sides are here. You know, I didn't even know contests existed until I saw that here at Seekerville. So much to learn! Thank you for being one of the torch carriers! Not ready for a critique, but I pray one day. Please throw my name in the dish for your upcoming release! And your name is in the dish! Jan, are you telling me that ONE YEAR after you started writing, you got a contract for your first novel??? No, no, no, no, no. This is not right. You're supposed to struggle, to strive, to get rejection after rejection for YEARS AND YEARS!!! Do you know what you're doing to newbie writers reading this??? Okay, I promise to be calm. Deep breath. Starting again. Wow, Jan!!! You must be a really fast learner! I'm so happy for you, getting your first contract so quickly! Okay, I just can't do it. LOL!!!!!!!!!!!! Shhh!!! I try not to think about how quickly things happened once God said, "Now!" A future post will talk about the season of preparation, and my season was long. I studied creative writing in college, and I have a degree in English With A Creative Writing Emphasis. I wrote, studied, taught and lived for 53 years before I started writing fiction...before the stories I had swirling in my head and heart found a voice. Does that make me more normal??? Still, that first year was a STEEP learning curve! Everything I learned in college was outdated long before I started writing seriously! I had to begin from scratch. Well, that does make more sense and seems more normal, the fact that you had studied creative writing in college and had wanted to write for such a long time. I guess. LOL! God has a unique plan for each of us. I am thankful for mine. His timing is perfect. And I hope you are enjoying the roller coaster that is published authoring! Glad to be here in Seekerville with you! Dang. I forgot Safari and Blogger don't get along. My first comment disappeared into the ether. Jan, I loved reading your story and what brought you to publication. I love how you waited for the Lord to guide as to when to begin writing for publication. I didn't realize when we roomed together at ACFW 2012 that you'd only been writing for a year. And look where you have been since then!! One of my favorite things about Seekerville is how gracious the Seekers comments are. I love coming back to check what was shared after my comment, and other's comments. I've learned a ton through my many visits to the blog. Oh, and Tina Radcliffe challenged everyone to enter contests. So, taking a deep sahky breath, I entered 3 contests one month. I finaled in two of them. I was shocked! I didn't win either contest, but the experience was so good for me. It gave me confidence and perspective to enter more. I never would have entered them had it not been for the Tina Challenge! This has been such a great place to meet other writers. I've loved meeting some of the commenters (and Seekers) in person at conferences too. So glad you're a part of the team, Jan! I loved reading your post, Jan!! Thank you for sharing your journey with us. And I echo what Melly (Melanie Dickerson) said - - that is amazing that things happened so quickly! But we know God's timing is perfect, so when he says Yes then we'd better be ready. Seekerville is wonderful, and I could write a book about how much the Seekers and this community means to me (seriously). One thing that stands out in my mind is that from "meeting" them in their blog, I felt they were already friends. My one and only time attending RWA (when it was in my hometown of Atlanta in 2013) I arrived at the conference by myself, feeling very nervous and wondering why I was attending. I was surrounded by strangers in a huge hotel. Then I went to the workshop some of the Seekers were presenting, and right away they rushed up to me, welcoming and hugging me---How can you not love these ladies?! They are the best!! So glad you're part of the regular bloggers now, Jan - - I look forward to more of your posts. And a big CONGRATS on all your books so far!! I know what you mean about conferences being scary! SO many people, SUCH a large venue, SO many things to do! It's easy to feel alone in a big crowd. But the Seekers always welcome Villagers with open arms, so we're never alone very long. I remember my first conference...I flew alone to Dallas and hoped, hoped, hoped I was at the right spot to catch the shuttle to the hotel. No one else was there... And then the shuttle came along, the door opened, and from inside came the shout, "Is that Jan Drexler?" Happy dancing! I get to see Patti Jo in September!!! I love reading how authors have achieved their dreams of being published and how everyone at Seekerville has offered advice and encouragement. This is truly a wonderful group of givers! It certainly is, Connie! It's a great way to start your morning or end your evening, isn't it? As a reader I have learned a great deal of the behind the scenes aspect of writing and publishing. I can't even begin to say how much I've learned from Seekerville. I entered my first contest because I saw the link here. I've gotten encouragement, laughs, and read some wonderful books because of Seekerville. So glad to get to know you--another transplanted South Dakotan. I'm sure our paths have crossed unknowingly here in West River. I'd love a chance to win a critique from you. Thanks, Jan, for a great post! Glynis! Do you live in West River??? Did you know we have an ACFW chapter here? Let me know if you want more information! We in the middle of trying to schedule a meeting/get-together, and it would be great if you could join us. We usually talk...and talk...drink coffee...and oh, yes, we talk about writing, too! I'll put your name in the doggy dish for a critique! I didn't see a chapter here the last time I looked so no, I didn't know that! Exciting. I'll be in touch. Thanks. Seekerville has been such a wonderful resource in launching my editing business, Jamison Editing, and in meeting so many wonderful people. I am so grateful for the Seekers (and friends) that have taken a chance on me & allowed me to edit their independent works. I am learning so much, and I love getting a sneak-peek into stories before they're published! Hanging out here has to be great for your business. I know you're at the top of my list for an editor if I ever decide to publish indie. I loved meeting you & the crew last summer! I hope you can make it back sometime! I am really new to Seekerville, still learning how it can help me, but I very much enjoyed the stories and tips I have read so far. Looking forward to more! I would love to be entered into your giveaway. I enjoyed reading about your journey! I think this is the second or third time I've actually read and commented on a Seekerville blog post! I'm at the beginning of my writing journey, and I'm aiming to make connections in the writing community, as well as learn all I can about writing and publishing. I hope to find new friends here as God directs my path! This is the place to meet all of those goals, Anne Carol! Wow, Jan, your post hit my heart in so many ways! Your genealogy is so close to mine. On my paternal side, my great-grandmother died in childbirth, my grandmother spoke Pennsylvania Dutch, and they lived close to Amish country in Ohio. I've quoted Besse Belle many times here in Seekerville. I apologize for not posting lately. I think I'm grieving a bit for the Seekers who left last year. Getting my steam back up. Also trying to finish my book! "I've always found that the days when I think I'm "too busy" to stop by Seekerville tend to be the times I really need to read that day's post! I might still be too busy to comment, but never come away thinking I've wasted my time. :-)"
Your quote above is what happened to me. After the holidays my world became busier and I thought I could do without my daily visit to Seekerville. What I didn't realize was how reading the blog everyday helped me in not only my writing journey, but also my day to day journey. Seekerville has been the best blessing God has sent my way. I mean it. Between the holidays, illness (I had the flu over Christmas), wrestling with my WIP, and everything else, it's been hard to keep to the routine of Seekerville visits! When I go for a few days, I know I miss seeing all of my friends. And then we throw this change in...this BIG change at Seekerville. It's hard, I know! But even with the changes, we hope to keep carrying the torch, and making each visit to Seekerville the best it can be! I'm looking forward to seeing you here often, Marcia! And praying for a wonderful finish to your book! Thanks, Jan, for the encouragement! My family names are Volz, Lowe (Lau), Hellinger and Beam!! This is wonderful, Jan. Thank you. Varied opportunities - to share in joys and sorrows, to learn, to grow as a person and as an author, to win books and prizes!, to guest post myself several times, to be part of a "tribe"
The blessings continue to flow. One of my fave parts is discovering new-to-me authors who have become favorites. Better stop here but really. I've become good acquaintances in real life with a few folks here and hope to continue. All the best in THIS new journey!! Pats to Thatcher. And special sniffs and greetings to him from the gang at May the K9 Spy! I think I tried three or four times to comment over here yesterday. I just had a minute to check back only to discover my comment is gone. :( I'll try one more time. I have been so blessed by Seekerville. The replies of the Seekers on peoples' comments are so gracious and encouraging. And the contests promptings. Tina put out a challenge a few years ago to enter contests. I was scared to death. But I did it. I think I entered four in a month. I finaled in two. Color me shocked! And I never would have done it if not for the Tina Challenge. I love the fellowship and the encouraging and the praying that goes on here. I'm so glad this comment made it through! Jan, I loved reading your post. Unlike most writers I've met over the past few years, I had never considered writing. All I could think about was, how difficult it was for me in high school and college to even so much as think of an interesting topic for a two-paged paper. I thought I didn't have any creativity in me. Like I tell everyone, it took getting laid off from a job in 2010 that God did not call me to at all. It was the fall of that year I ran in my first full marathon. Two weeks later, I went for a walk. To this day, I can stand in the exact spot I was at when God told me to write. Up until that time, I had worked on a "silly story". That "silly story" is now my first book "The Long Road Around the Corner of Hope," which I published in the fall of 2013. But that wasn't the only book. Just when I thought I would be happy as a one-book wonder, while working on The Long Road, I started "Crawling to the Light." When did that idea come to mind? When I was outside around my neighborhood going for a walk. That book was the one that gave me specific direction in the kinds of contemporary Christian fiction books God wanted me to write. Themes like drugs, alcohol, depression, grief, as well as church, various relationships, and music. After reading "Dark Star" by Creston Mapes, I wrote "Wise Turned Foolish," about the lead guitarist of a band who becomes a Christian. Many people have read any one or two of these books and have told me, "I see myself. I can relate to [insert name of character]." In addition to some other Christian fiction works in progress, I'm also working on a few contemporary romance novels. What have I overcome over the past seven years? Feeling like I can't write anything good enough...and...a battle with stage 4 endometriosis. It amazes me even more so now that God chooses someone like me to write. Nothing is impossible with Him, that's for sure. Jan, I can so relate to God's timing in writing books. Thank you so much for this post. Wow, Faye! I'm so glad you listened to God's call! And your battle with endometriosis...I can't even imagine everything that is wound up in that, both physically and emotionally... Praying that the worst is behind you!